Oh K! Sleep Mask is rated 5.0 out of 5 by 2. A deeply nourishing overnight face mask. Working overtime whilst you sleep, the Oh K! 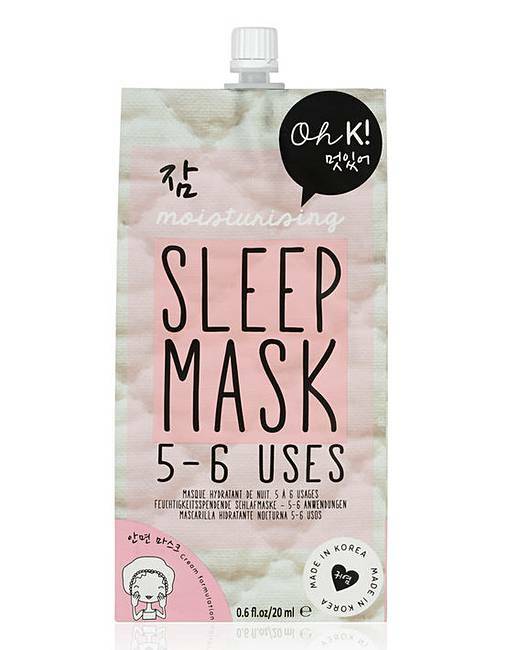 Sleep Mask boasts a rich, creamy texture that delivers intense moisture and hydration deep into the skin. Packed to the brim with nourishing ingredients, it leaves you with smooth, glowing skin, even without 8 hours rest. Each pouch contains 5 to 6 uses. Rated 5 out of 5 by BeeClaire from Fantastic I’ve used this product 4 times now and wake up in the morning with fantastic soft skin. Being a busy mum it’s the only face mask I get time to use!